I was alerted to the release of this film by a very intrusive advertisement in the fun Quantum of Solace video game. Chasing Vesper in Venice I rounded a corner to be confronted by a poster advertising the film. 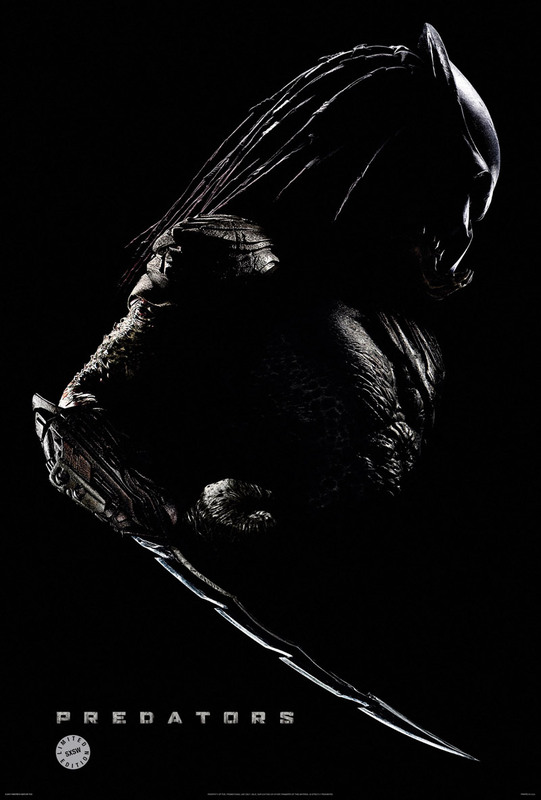 Predators is a film featuring the enemy of Aliens everywhere - Predators. 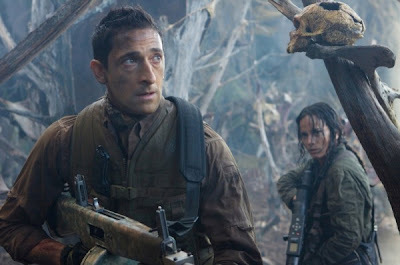 The film starts with 9 or 10 people awakening during free fall towards a dense Jungle. None of them know how they have gotten there, and don't trust each other. Each person is armed with a different weapon, and are from a variety of walks of life. Among them is a young Dr, a Prisoner who was on Death Row, a Tribesman, Soldiers, a Mexican Drugs Cartel member, a Yakuza member, as well as Mercenaries. Led by the Mercenary they head off to find out exactly where they are. They soon discover they are on an Alien planet, and also that they are being hunted by some mysterious assailants. Morpheus from the Matrix appears and reveals that they are all on some kind of Game Reserve Planet, and that they are there to be hunted for sport by Predators. They must work together to defeat the Predators and find a way to escape the Planet. The film really reminded me of Cube. Cube set in a Jungle, and with Predators. The way they are all strangers, and have all been kidnapped, plus an early deadly trap sequence all reminded me heavily. The film starts off great. Until about a third of the way through the film the characters don't even know what they are being hunted by. It would have been cool to have discovered along with the characters what was going on, but the films title kinda gave the game away. The Predators are cool as always. There are plenty of Predator view infra red perspective shots, and all the iconic Predator weapons are used; including Spears, the Discus, the blue plasma gun thing, and the fantastic 3 red dot weapon. It is set as a direct sequel to the original Arnie fest Predator. One of the characters recounts the events of that film as she was one of the people who debriefed Arnie following his return from his film. The characters are quite a likable bunch overall. All ooze attitude for the most part, but highlights include the hilarious serial killer/rapists (his rant about only being armed with a knife while everyone else had high powered weapons was fun), the Yakuza member was cool, and calm, and the main characters of the Sniper lady, and the hawk nosed Mercenary were great. It's a shame that some of the other characters were killed off before they had a chance to shine, but all characters were completely different from each other. The film was only a 15 but there was plenty of action, explosions, gun fights, and brawls. 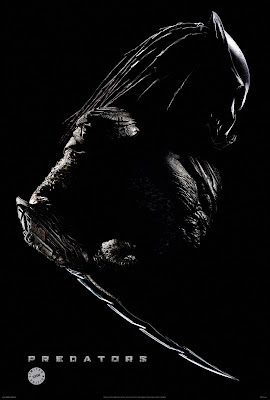 There were a few of the iconic Predator kills (head and spine pulled out the body) and plenty of spilt Predator blood (luminous green of course) Plenty of guns in the film including a fantastic mini gun, and a stylish shotgun. I was surprised how fun I found this film. Alien VS Predator was pretty terrible, but this was fun. Of course, not a patch on the original film, but a worthwhile entry in the sometimes dodgy series. It is a shame I missed the final kill of the film (due to a real life fight breaking out in the Cinema!) and the trailer is very misleading in that it shows cool things that just don't occur in the film itself!.